Making our knowledge, your advantage. In 17th century Europe, they would use the expression “Black Swan” to refer to something impossible, because obviously only white swans exist and there are no black swans in nature. However, in 1697 the western world was astonished by the discovery of black swans in far-off Australia!!! In other words, the unequivocal assumption that there are no black swans was refuted in a moment by one observation that proved the precise opposite. Since then the meaning of “Black Swan” has changed to an event that is considered impossible but that could later prove to be highly possible. 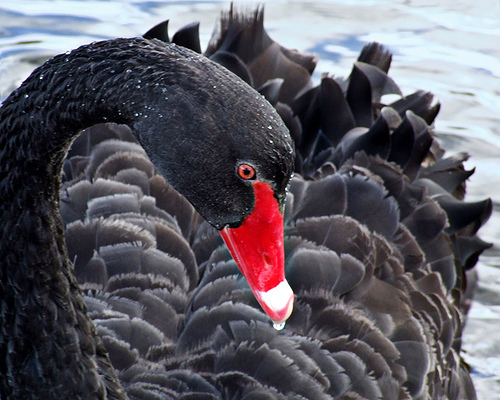 The “Black-Swan-Theory” was formulated by the philosopher “Nassim Taleb” and published in 2007. According to the theory, a black swan is an exceptional event of extremely great importance which ostensibly could not have been predicted – but from an historical perspective can be expected to occur once every so often. 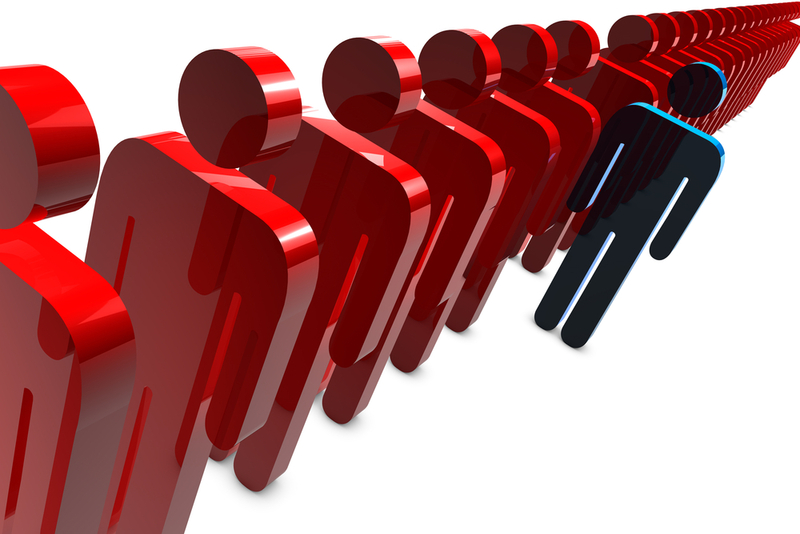 Extreme Exceptionality – Such an event is so exceptional that it is almost incomprehensible based on past events. It comes as a total surprise to its observer who will be amazed that it occurred. Dramatic Effect – The event has an extreme impact on the future. Could have been Predicted in Hindsight – Anyone looking at the event after it has occurred has the impression or belief that such an event could have been anticipated to occur from time to time. II. The fact that despite everything its occurrence could have been foreseen. Taleb argues that the vast majority of seminal events in history that were unforeseen at the time, in retrospect, when we look back, can be explained by rational causality. A black swan is a High Impact Low Frequency Event – that is to say, the effects of such events on the future are extreme, but they occur at a low frequency. The black swan theory maintains that a small number of black swans explain almost everything that happens in our world; from the success of ideas, via the flourishing of religions and the outbreak of wars, to the rise and fall of great powers, countries, and economies. One example, and perhaps the most famous, that depicts the black swan is what happened in September 2001 in the U.S.A. – the aerial attack on the World Trade Center and the Pentagon. We will examine if this event meets the criteria for definition as a black swan. There is no doubt that it was an extremely unusual event in its impact, and all over the world everyone who witnessed it was stunned. It had an enormous impact in the period that followed and its effect can still be seen in every airport in the world. Security operations were stepped up dramatically and this had a profound effect on all the activities of the global aviation industry and on the colossal resources allocated to operations as a whole. In retrospect, unequivocal evidence and testimony were discovered of the growing strength of the Al-Qaeda movement and its intention to sponsor just such an event. There is also evidence that the party attacked had a great quantity of intelligence information prior to the attack. Why do black swans occur? One of the main reasons for the existence of black swans is to be found in the nature of man. The disasters caused as a result of black swans are extremely rare events and there is a tendency to ignore the possibility that they will occur. The impact of these events is likely to be so great that it is convenient to ignore them and the signs that they are imminent. Ignoring them in this way leads to a 100% certainty that when the disaster occurs, it will be a multi-victim one. When a terrorist organization tries to create a black swan, its purpose is to sow terror, to shock and to strike an effective blow to the consciousness of the party attacked. The Illusion of Understanding – Everyone thinks he knows the world around him. The world however is more complex than it seems and the great majority of circumstances and connections are simply lost on us. Distorted Retrospection – We can only evaluate situations after the fact. Then, everything appears obvious and predictable. Overrating of Indicative Factual Information and the Limitations of Intelligent People and Experts – If we honestly examine a large part of these “black terror swans”, they are undoubtedly the creations of human planning and it is possible to foresee their occurrence. We have to process our thinking and enter into the attacker’s mind so as to anticipate how he will act, however exceptional that may be. A man-made black swan can be foreseen if we employ the “appropriate” thought processes to identify the tell-tale signs. Calculated risk management allows us to deal with extreme situations. Preparedness, no matter how thorough, is not enough to win, since the opponent will always have the advantage of being the instigator. He will try to gain the upper hand through tactics, deception and surprise. A terrorist will try to surprise in at least one parameter: location, time and means, whereas the victim, if he wants to prevent an extreme event, needs to act at peak capability to neutralize the attacker and foil his plans. A black swan can be avoided if we succeed in surprising the attacker, foiling his plans, and putting him off balance. The recognition that it is certain that a catastrophe will occur must be at the basis of the awareness of all security personnel – we may be surprised but we must not be stunned. How can we deal with black swans the moment they occur? In his black swan theory, Taleb recommends, therefore, considering the possibility of a disastrous collapse in a certain sector as being certain, and being prepared to deal with it. This is basically a recommendation to be mentally prepared with the aim of keeping the awareness level functioning at peak capacity. A proactive security setup based on managing risks and pre-emptive action to put the opponent/attacker off balance will have a high probability of preventing a black swan. Mr. Levin has just recently joined Lotan Security and is an expert in the area of protective security with extensive experience in aviation security, security systems management, critical infrastructure and corporate protection. Mr. Levin’s experience is based on his past work managing international aviation security systems spread over a wide geographical area for ELAL Airlines Security. His responsibilities included managing the officers in charge and supervising projects and large scale operations. He was responsible for hundreds of employees and thousands of day-to-day security operations in a highly competitive commercial environment for 10 years, many of them during an era of high profile terror attacks. This unique combination of maintaining the highest security standards while taking the needs of the commercial environment into consideration are what helped to make him unique in the industry and a leader in the field. This entry was posted in security Philosophy and tagged assesment, aviation, community, critical infrastructure, El-Al, Human Resources, IED, intelligence, large events, Procedures, Profiling, safe city, secure environment, Security concept, security philosophy, terror, terrorists, training. Bookmark the permalink. ז”א לעשות מעשה שהטרוריסטים לא מצפים לו כדי להעביר את היזמה אלי . The Emergency Alert System Dilemma: How can authorities leverage technological advancements to aid (and not diminish) strategic disaster risk reduction endeavors? International Air Transport Association (IATA) and BeST (Be-Strategic Solutions) to Offer New War-Gaming and Table Top Exercise Computerized Platform called Scenario. Copyright © 2012 LOTAN Security LTD.